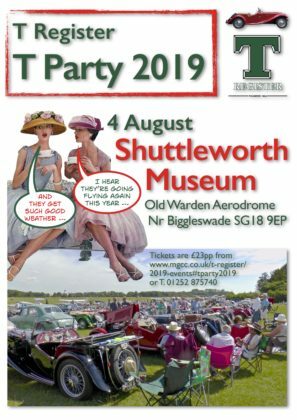 This is the online booking form for the T Register’s T Party at the Shuttleworth Collection, Old Warden near Biggleswade on 4 August 2019. We are handling all the ticketing for the T Party ourselves so there will be a postage fee for the tickets. To apply for the event, please complete the form below. Pressing the Submit button at the end of the form will send it to the T Party Administrator. The cost will be £23 per person (note: not per car), plus a £1 postage fee per booking. 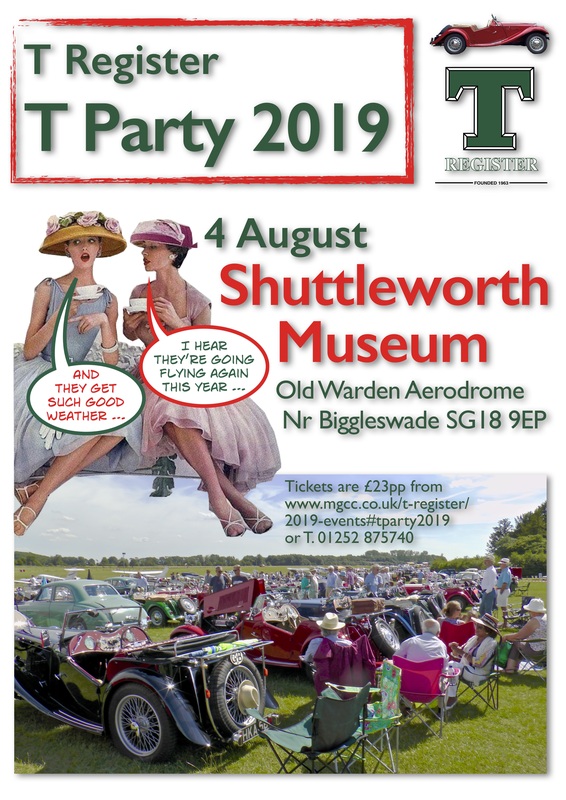 Lloyds Bank, sort code 30-18-88, account number 00373841 payment reference ‘T Register T Party 2019‘. Tel: 01252 875740 email: barglen@ntlworld.com. Once payment has been received, the ticket(s) will be posted out to you. If you have any queries, please email the T Party Administrator, email above.